There are many choices when it comes to homeschool history curriculum. When making that decision it is wise to think of what you are really looking for in a history curriculum and which one may best suit your needs. Here are some questions for you. You need to decide if these points are relevant to your family or not. Is the homeschool curriculum comprehensive and integrated? Does it include integrated studies across a range of subjects - literature, writing, reading, church history, philosophy, worldview? Is this curriculum chronological? When you look at the curriculum, you may wish to look at the whole package and see how it is developed over the years and across the ages. Is it important to you that your children will work through their history studies in a chronological order? Does it suit multi-aged families? 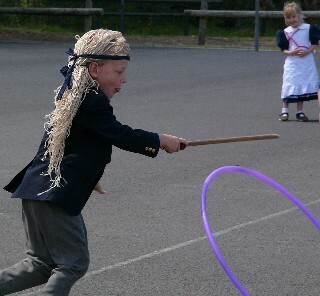 This may affect your decision if you have a few children to teach. It's great to combine where you can and you certainly don't want to teach history separately with each child. Look for a history curriculum which can be used across the ages. Does it include literature readings, a comprehensive booklist, history project ideas? Does it match the worldview perspective of your family? Does it come with optional Activity Books, Tests? This may or may not be important to you. Does it come with audio CDs? This is especially handy for the long car trips or just to listen at different times. 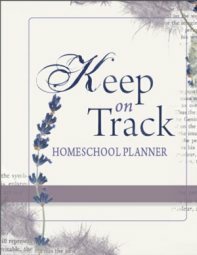 This page refers to homeschool history curriculum being taught in a chronological way. For more information, refer to the page on Teaching History Chronologically. Some history curriculum is written in a four-year-plan rotation so that as you teach home school history, you can teach the same time period three times over, changing the focus and going into more detail each time. However, some people may choose to spend 8 years to cover history in the first cycle when homeschooling and then 4 years to cover it a second time. There are many ways of teaching history in your homeschool. You, as parents, must have the final say as to how you want to teach it in your home in your context with your children. Begin with the oldest child in mind and make a plan for them. Don't forget that you will visit the time periods a few times in your homeschooling years, so even if your youngest begins in the 20th century, he or she will continue the studies and visit it more than once. What are the Historical Time periods? Here are the common divisions of History according to the Kingfisher History Encyclopedia. I have homeschool history curriculum suggestions on each of these time periods. I have listed the Ancient History Curricula for Ancient Egypt, Greece and Rome on one page. The Ancient World: (..to 500B.C.) The Beginning: The Christian starting place will be Genesis; It also covers Ancient Egypt, Greece, Rome and others. Use these free history notebooking pages in your history study. Created to go with the Famous Men books. Each homeschool history curriculum that is available follows its own divisions. Here are some of my favourite chronological homeschool history curriculum. Tapestry of Grace has a four year plan. Tapestry of Grace is comprehensive and teaches far more than just "history." Year Two- covers Fall of Rome to the late 1700's. Year Three - covers the Nineteenth Century. Year Fours- covers the Twentieth Century. Truthquest History - Read more about TruthQuest History here. If you've used TruthQuest add your review. Veritas Press History Curriculum - Read more about Veritas Press Homeschool History Curriculum; Add your review. We love this for its History and Bible flashcards, the literature selections and also the Omnibus in the latter years. The Story of the World - Includes books, CDs, Activity Books. 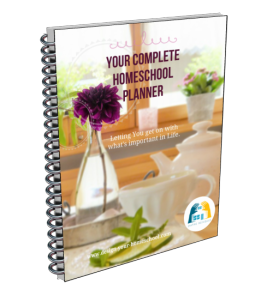 Read reviews from other homeschooling families and add your own. Heart of Wisdom Unit Studies - Read more here. 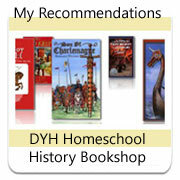 Visit the Homeschool History Bookshop for my book recommendations. Using a Spine Book to teach History can help you organize your study in a chronological way.